How to keep the chaos from a museum that attracts 2.5 million visitors a year? That has been the challenge facing German art historian Eike Schmidt, one of the first foreigners ever to direct an Italian museum, in this case the extraordinary Uffizi in Florence. 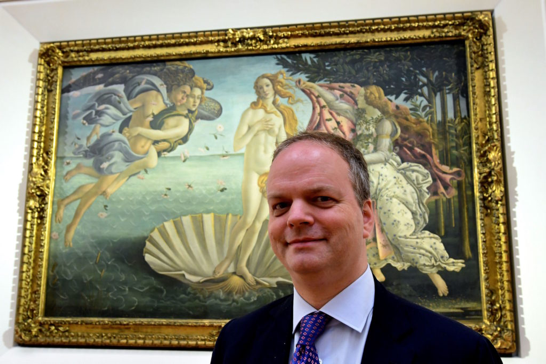 Uffizi director Eike Schmidt, 49, met in Rome with a handful of foreign journalists Dec. 5 in what amounted to a summing up of his three years of managing one of the world's finest, largest and most popular museums. Under his stewardship, museum attendance rose from 2 million in 2015 to this year's estimated 2,5 million. 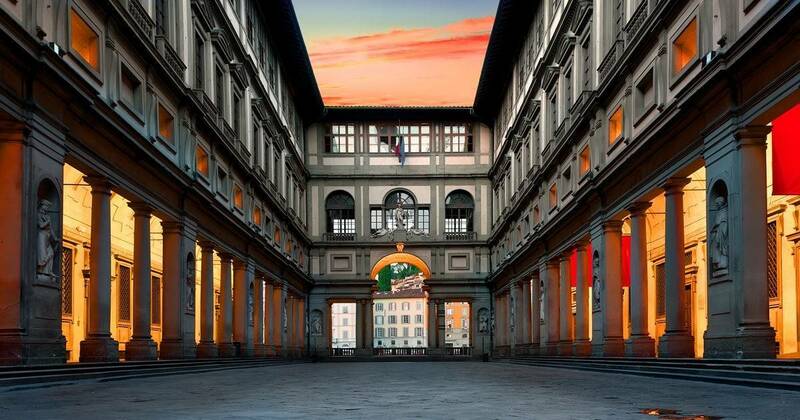 "In the 19th Century the Uffizi attracted no more than five people daily," he said. "Now we have 5,000 a day and, on some days, up to 10,000. And we are attracting many more young people than in the past." Despite this 25% increase in attendance (and in revenue), art historian Schmidt's management reforms in the Uffizi mean that the crowds, which had surged ever larger with every passing postwar decade, today pose far less of a problem than in the past. "Previously fully half the visitors came in mid-summer and would sometimes have to stand in the heat in a ticket line for up to four hours," he said. This left relatively few visitors in winter. Once inside the museum, tour guides might arrive with from 50 to even 100 people, crowding out others anxious to see the most popular works of art. "It was chaos," he acknowledged. "Now, the groups are of only 20 or so, and the guides, who would previously speak loudly, are heard through earphones." To whittle down the lines for buying tickets, timed entrances with reservations made via the Internet were introduceduf. "Reducing the long ticket lines was also important for security reasons," Schmidt added. In fact, in May 1993 a powerful car bomb set by the Mafia exploded just behind the Uffizi, killing six and wounding 26. Three works were destroyed and another 30 damaged. According to Schmidt, despite the increase in visitors, the overcrowding and long waiting lines are managed by expanding the museum spaces that can be visited; the Palazzo Pitti, closed for 20 years, was reopened. Year-round visiting is fostered by holding concerts, film evenings and special exhibitions, like the three currently on view. Over 90 new employees were added to the staff, 30 of them specifically to help the disabled. Some 440 years old, the Uffizi galleries were not initially destined as public spaces for works of art. 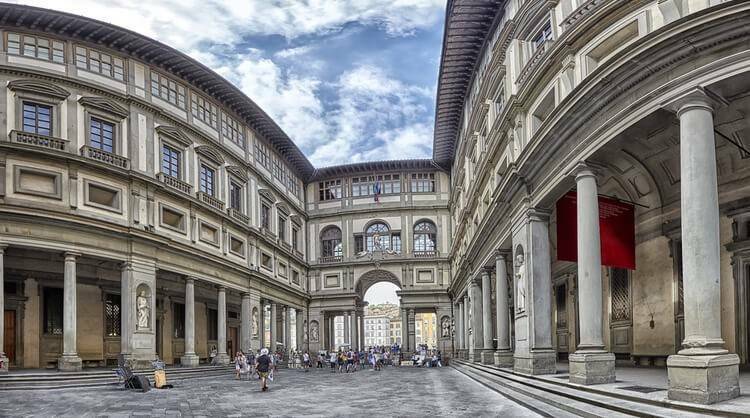 As the name Uffizi suggests, these were offices, donated to the city of Florence by Cosimo I "the Great" and converted into a museum complex by Giorgio Vasari. 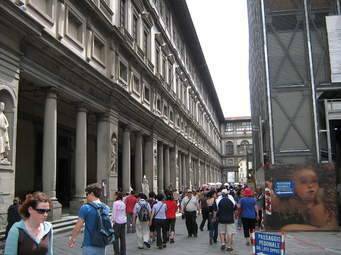 Its centerpiece is the Gallery of Statues and Paintings, which includes a unique collection of Renaissance art plus precious ancient sculptures that had once belonged to the Medici family, such as the Hellenistic Venus found in Rome which they acquired. 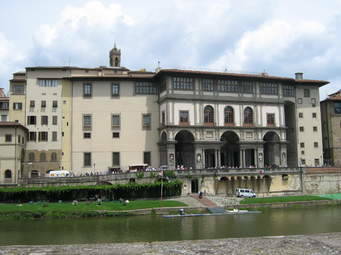 Besides the Uffizi itself, there is the collection named for Vasari and housed in the long Gallery that crosses over the Ponte Vecchio. Currently under restoration due to problems of temperature and humidity control, the Vasari Gallery reopens in 2020. 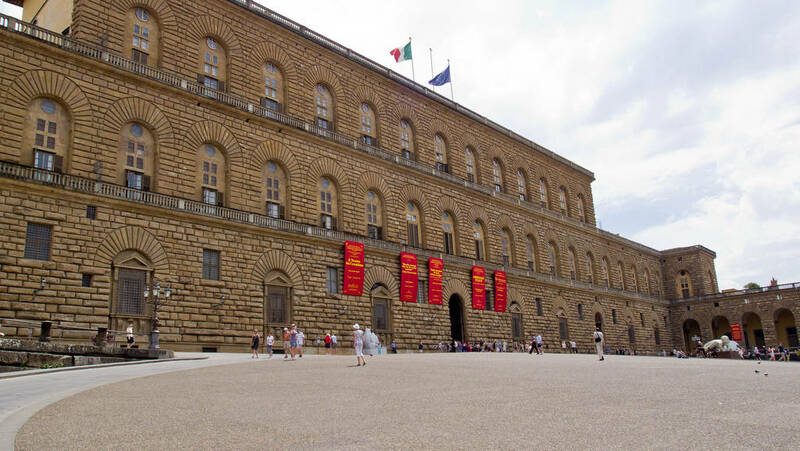 Then there is the historic Palazzo Pitti, which itself encompasses four separate museums. Closed for 20 years, it was reopened only in 2015. In addition are the famous Boboli Gardens of statues and fountains that sprawl on a hillside overlooking the Arno River. Altogether, these now attract four million visitors a year, with the Boboli Gardens alone accounting for one million. The newest restoration is the Hall of Maps in the Palazzo Vecchio, in which 54 hand-painted maps from the Renaissance decorate what had been a Medici storage room. Schmidt, born in Freiburg im Breisgau, studied medieval and modern art history in Heidelburg, where he wrote his doctorate thesis on "The Medici Ivory Sculpture Collection in the 16th and 17th Centuries." In 1994 he was in Florence for a seven-year research stint at the Deutsches Kunstshistorisches Institut, and from 2001 through 2006 was curator/researcher at the J. Paul Getty Museum in Los Angeles. Next came two years at Sotheby's, London. remain appears uncertain; gossip has it that Schmidt will take over leadership of the Kunsthistorisches Museum in Vienna in 2020. "My four-year contract ends in October of 2019," is all that he acknowledged. Last year legal action to remove five foreign museum directors (Schmidt was not one of those under attack, however), was undertaken. A lower court determined, somewhat fuzzily, "No norm in our legal system exists that permits recruitment of foreign public managers" (Il sole-24 Ore April 18, 2018). The Culture Ministry immediately protested, and action on removing the five was supended. For former Minister Franceschini, "This is absurd: the director of the National Gallery [in Washington] is Italian, and the British Museum director is German. What damage to our image!"